Alexander McCall Smith has 1 media appearance. The incomparable Alexander McCall Smith is coming back to Victoria! He's such a delight--you won't want to miss this evening! bookworks in conjunction with ABC Library presents the best-selling author of the No. 1 Ladies' Detective Agency series, Alexander McCall Smith, who deftly escorts Jane Austen's beloved, meddlesome heroine into the twenty-first century in this delightfully inventive retelling. The summer after university, Emma Woodhouse returns home to the village of Highbury to prepare for the launch of her interior design business. As she cultivates grand plans for the future, she re-enters the household of her hypochondriac father, who has been living alone on a steady diet of vegetables and vitamin supplements. Soon Emma befriends Harriet Smith, the naive but charming young teacher's assistant at an English-language school run by the hippie-ish Mrs. Goddard. Harriet is Emma's inspiration to do the two things she does best: offer guidance to those less wise in the ways of the world and put her matchmaking skills to good use. Happily, this summer presents abundant opportunities for her to do just that, as many friends, both old and new, are drawn into the sphere of Emma's occasionally injudicious counsel: Frank Churchill, the attractive stepson of Emma's former governess; George Knightley, Emma's brother-in-law and dear friend; the charming yet self-important Philip Elton; and, of course, the perfect (and perfectly vexing) Jane Fairfax. Alexander McCall Smith's gentle satire and cozy, old-fashioned sensibility prove to be the perfect match for Jane Austen's wit and characters. Though carriages have been replaced by Mini Coopers and cups of tea with cappuccinos, Emma's story is wonderfully timeless. 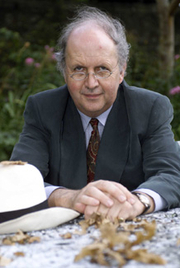 Alexander McCall Smith is the internationally best-selling author of numerous novels, including the No. 1 Ladies Detective Agency series, the Isabel Dalhousie series, the Portuguese Irregular Verbs series, and the 44 Scotland Street series. His books have been translated into forty-six languages. Formerly a professor of medical law, he now devotes himself to writing. He lives in Scotland. ALEXANDER McCALL SMITH has a double existence. He is a Professor of Medical Law, but also an author who has now written over fifty books on a wide range of subjects. These range from specialist titles such as 'Forensic Aspects of Sleep', (the only book on the subject) to 'The Criminal Law of Botswana' (also the only book on the subject) and from the widely translated 'The Perfect Hamburger' (a children's novel) to 'Portuguese Irregular Verbs' (a collection of stories about eccentric German professors). His collection of African stories, 'Children of Wax', received critical acclaim and has been the subject of an award-winning film. Alexander McCall Smith's book Minor Adjustment Beauty Salon was available from LibraryThing Early Reviewers. Alexander McCall Smith is currently considered a "single author." If one or more works are by a distinct, homonymous authors, go ahead and split the author. Alexander McCall Smith is composed of 44 names. You can examine and separate out names.